In addition to challenging course work with the International Baccalaureate program, Jenny had a supporting role in a school play, It’s A Wonderful Life. Jenny also entered a Shakespearean oratory contest, earning third place. She was inducted into both the Thespian (theater) Honor Society. During her induction week, she had to dress in a different role every day for school. 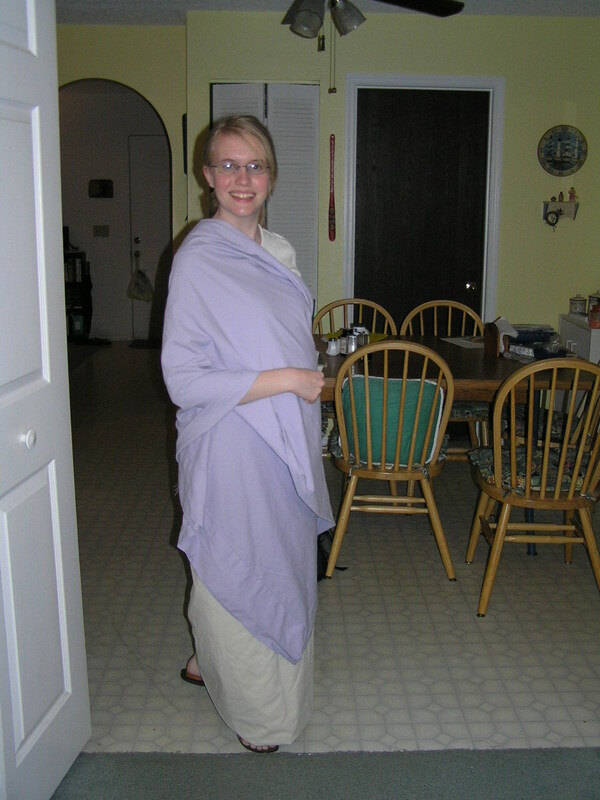 In this picture she is dressed in a toga for a Shakespeare theme. As we reported earlier, she was inducted into the German Honor Society and was also recognized for being in the 95th percentile of a national German exam. She also received a five (highest) rating on her AP World History exam. A five means extremely well qualified.